PID Loop tuning is one of the important activity carried out by instrumentation or process engineers during plant startup and day to day instrumentation maintenance activities. Several PID loop tuning spread sheets are available in the internet.We are discussing about some of the best PID loop tuning spreadsheet. 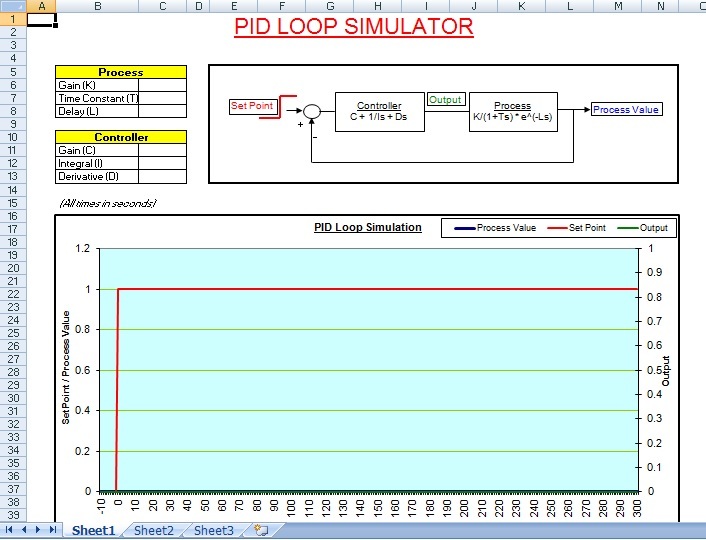 This spreadsheet simulates a control loop consist of a first order process with deadtime and a PID controller. How to use tune PID controller with the help of PID simulator spreadsheet? Step 1: Do a step test in manual mode and collect test data. Step 4: Implement in controller and fine tune if required .